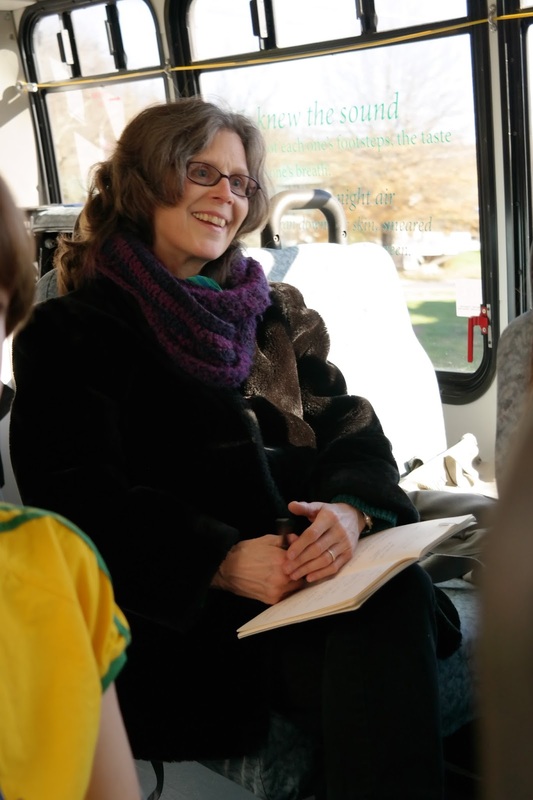 Plot 55: field trip on the poetry bus! 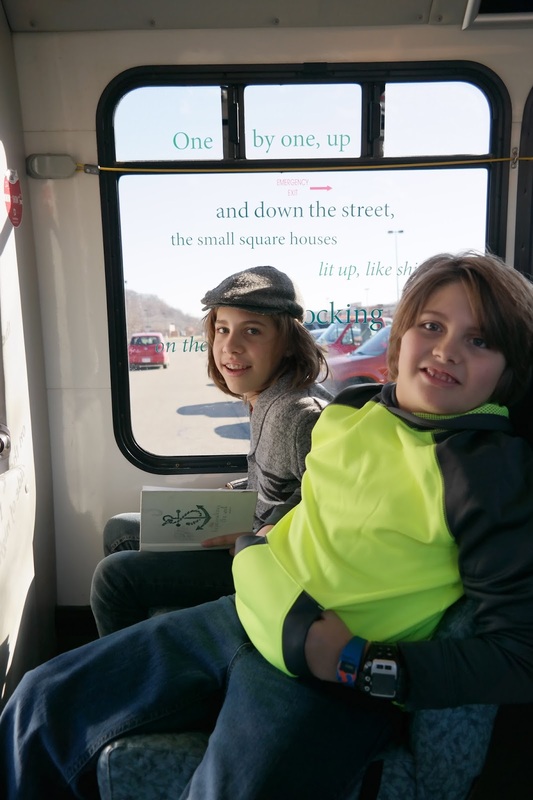 field trip on the poetry bus! 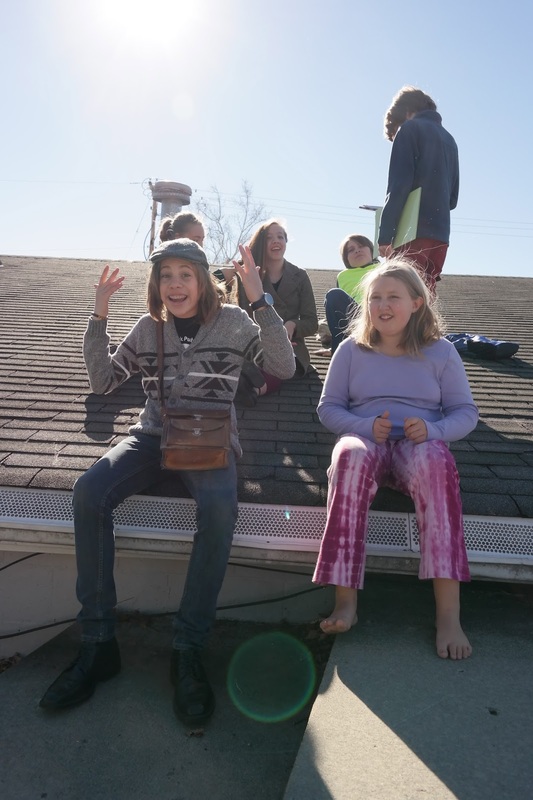 I love this group of kids. The dynamic is like a passel of puppies. 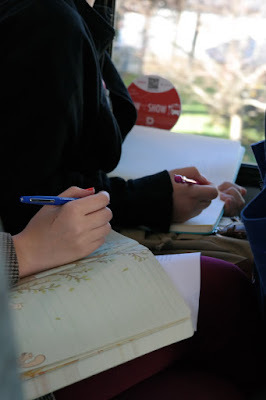 They laugh, cajole, hug, and chatter, but they settled down to the experience of riding inside a poem quickly, and started making their own written observations. We especially liked the transformative dance of the word shadows on all kinds of surfaces (including my face!). I wondered if this was an aspect of the experience the creators could have even imagined? It was mesmerizing. 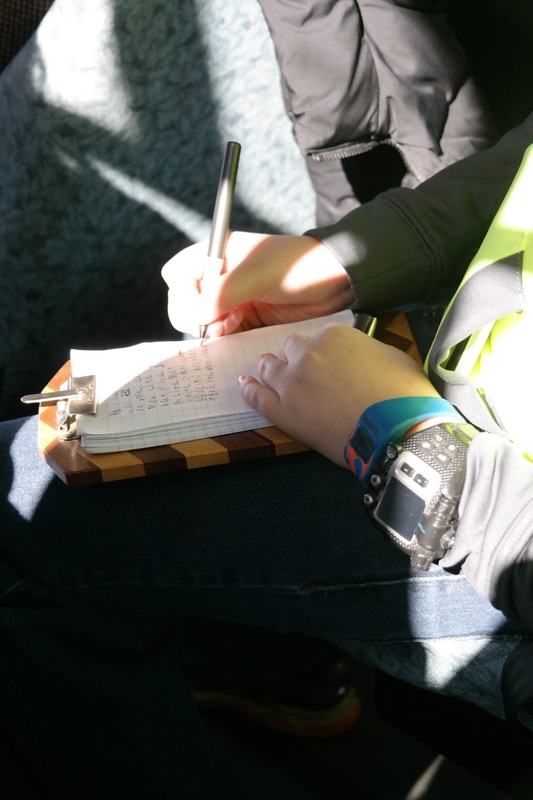 The kids mostly jotted down things they overheard or caught a glimpse of during the ride, but I noticed a few bits of word magic made their way into the corners, to be found by future passengers. The bus is inspiring, I tell you! Our driver was also a boon for the trip. It turns out that she never knows when she is going to get to drive the poetry bus, but that she loves it. She also, upon learning that we were a group of homeschoolers, took it upon herself to explain the workings of the licensing system to us, in case anyone had a mind to become a bus, or semi-truck driver. 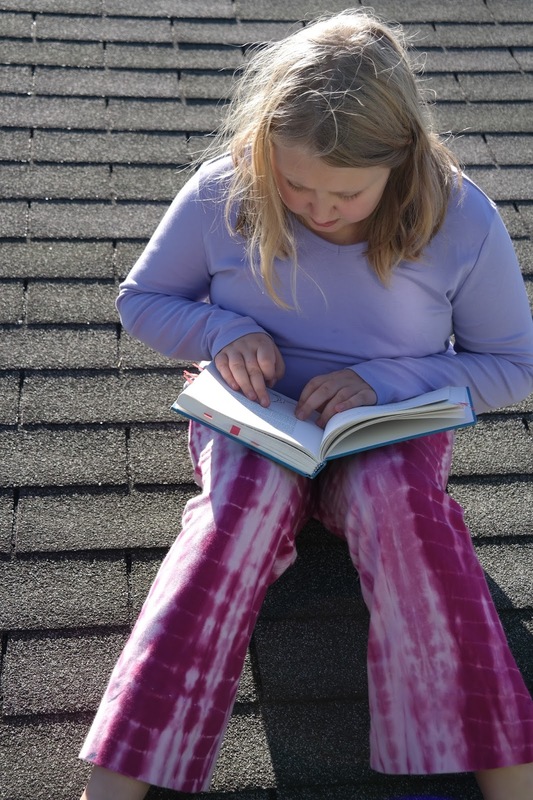 As we rode, Wendy talked about how finding one image can help a poem grow; in the case of this poem, she shares her memories of the summer evenings of childhood, spun from the seed of pools of dusk. We ended this beautiful day with some visiting on the rooftop, and some Shel Silverstien read aloud by Ani, before heading inside for hot cocoa and cookies. 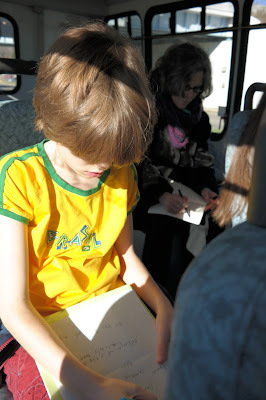 Hm...getting to ride a bus, read and write poetry, and have snacks? Pretty lovely.